As a product of Brechin Boys Club, John progressed through United's youth system before signing for a professional deal in 2012. 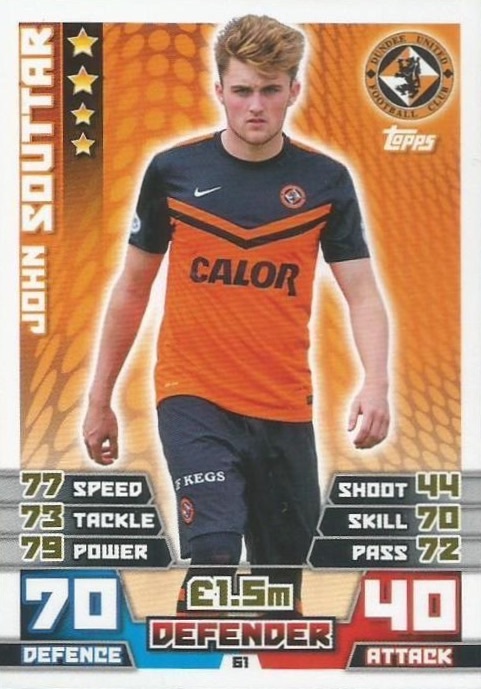 On January 2, 2013, John made his first team debut to become the youngest Dundee United first team player in recorded history at the age of 16 years, 100 days. He surprised many by becoming a regular in the United first team as a commanding yet skilful centre half, attracting the attention of several Premier League clubs in England. 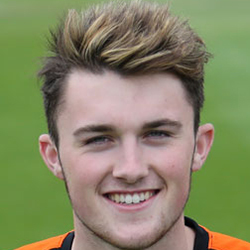 His form earned him call-ups for Scotland, at Under-17 level in 2012 and Under-19 in 2013. He became a feature under new manager Jackie McNamara and started the 2013-14 season well, earning a contract extension to keep him at the Club until January 2016, before dropping out of the side to the bench, starting less frequently. 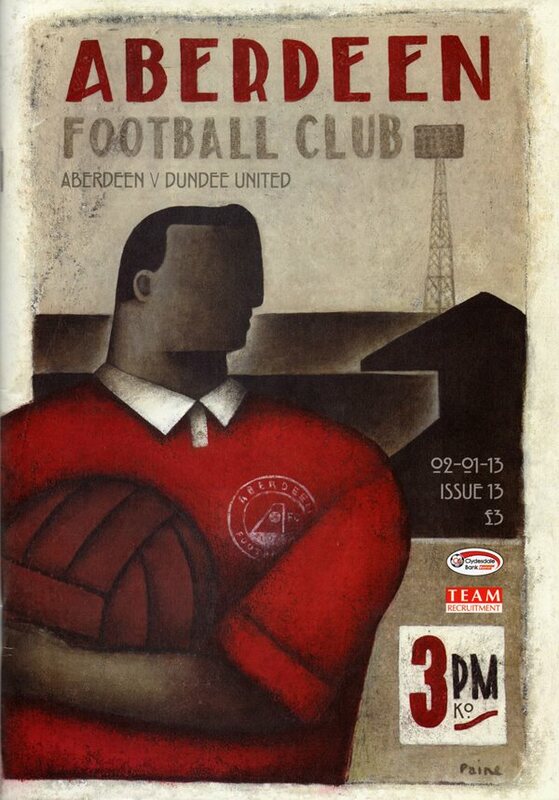 In May, he collected a runners-up medal in the Scottish Cup Final against St Johnstone as an unused substitute. John was born on this date in Aberdeen. United made three changes to the side that suffered defeat at the hands of St Mirren with Sean Dillon, Richie Ryan and debutant John Souttar coming in to replace Keith Watson, Mark Millar and the suspended Brian McLean. 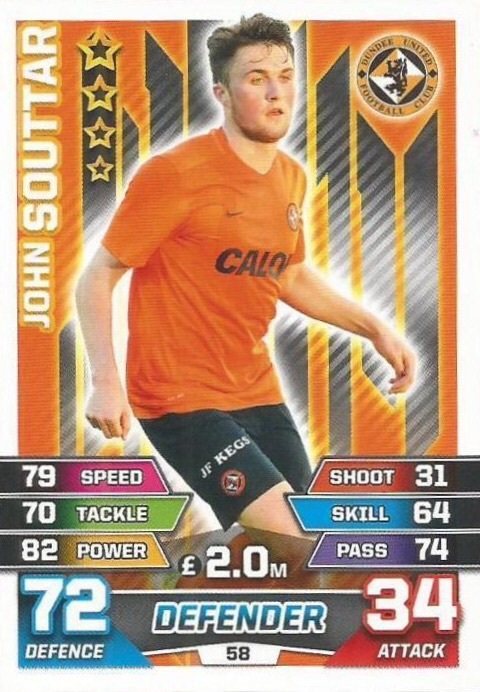 John Souttar was not only making his debut for Dundee United, he was writing his name in the history books as the club's youngest ever player at 16 years and 100 days old - 43 days younger than Ian Mitchell who previously held the record after making his debut on the 29th of September 1962 in a 5-0 home thrashing of Hibernian. There was a full house at Tannadice for this match between the New Firm who were both on a revival with a great start to the season.